Did I share that I simply love the taste of yuzu (ゆず、柚子) ? From yuzu vinegar to yuzu fruit, yuzu sake to yuzu cakes, I’ve tried it all! Naturally, when I hear that there is a shop in Kyoto serving yuzu ramen, I had to go try. I was already imagining how such disparate flavors would combine – one is obviously a fruit! I arrived at Eitaro (英多朗) at 11am, when the shop opens and way before the lunch crowd hits. The shop exterior is not eye-catching and one could have easily missed it. So, here’s a picture to help. Eitaro is a small ramen shop and does not have a lot of seats, so it was good to get there early. Of course, I ordered the yuzu ramen (ゆずラメン) at ¥700 (approximately S$9 – S$10). When the bowl of piping hot noodles was served, the refreshing whiff of the citrus fruit greeted me first before the fragrant chicken broth started mingling with its fruity accent. You can either squeeze the mini yuzu fruit or leave it to in the bowl. The first spoonful of broth is supremely tasty. The aromatic zest of yuzu balanced out the savory broth and made the subsequent spoonfuls and slurps more stimulating. It was not at all sour, and it was not like squeezing lemon on food. 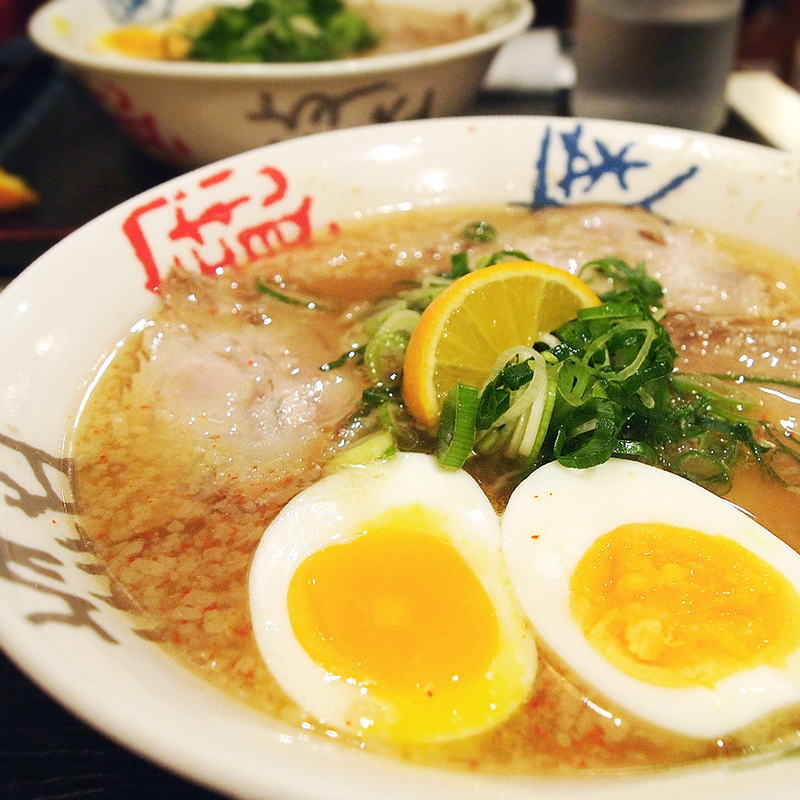 It added a sweet, sour and fresh taste to the broth, and reduced the oily feeling of the meal, which sometimes is apparent after having rich and flavorful ramen. The Hakata-style noodles were thin and springy. I love it so much that I returned within 5 days in my 1-week trip to have another bowl, foregoing other untried food. It’s especially good during cold, rainy days. The soup really warms you up! If you have more room in your stomach, you can also try their handmade curry udon (¥780 – ¥1,200, approximately S$10 – S$16). I witnessed a lot of regulars ordering that when they walked in. After having my yuzu ramen, we head over to Nishiki Market, which is along the same street, for some nibbles and to explore the local food culture! From Kyoto Station, take the Karasuma Line and alight at Shijo Station (四条駅). Exit station by Exit 1. Cross the road towards Sumitomo Mitsui Banking Corporate (SMBC, 三井住友銀行). Walk along Karasuma Dori (烏丸通). Turn right to Nishikikoji Dori (錦小路通). It’s about a 5-minute walk. You can also take the Keihan Main Line and alight at Karasuma Station. After that, I will walk along Shijo Dori (四条通), towards Karasuma Dori (烏丸通), and find the same landmark of SMBC. There are a lot of buses going to Shijo Dori 四条通, which is the main shopping district.